Ron M. Ihle - Fanning Harper Martinson Brandt & Kutchin, P.C. - Fanning Harper Martinson Brandt & Kutchin, P.C. 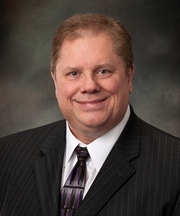 Ron Ihle is an experienced trial lawyer who joined FHMBK in 1991. His practice involves litigation of automobile and trucking accidents, construction, products liability, and mass torts. Originally from Oklahoma, Ron moved to Texas after graduating from Oklahoma City University Law School in 1988. While in law school, he was a member of the Law Review for three years and staff editor for one year. Prior to practicing law, Ron was a claims adjuster with American Fidelity Insurance and USF&G.